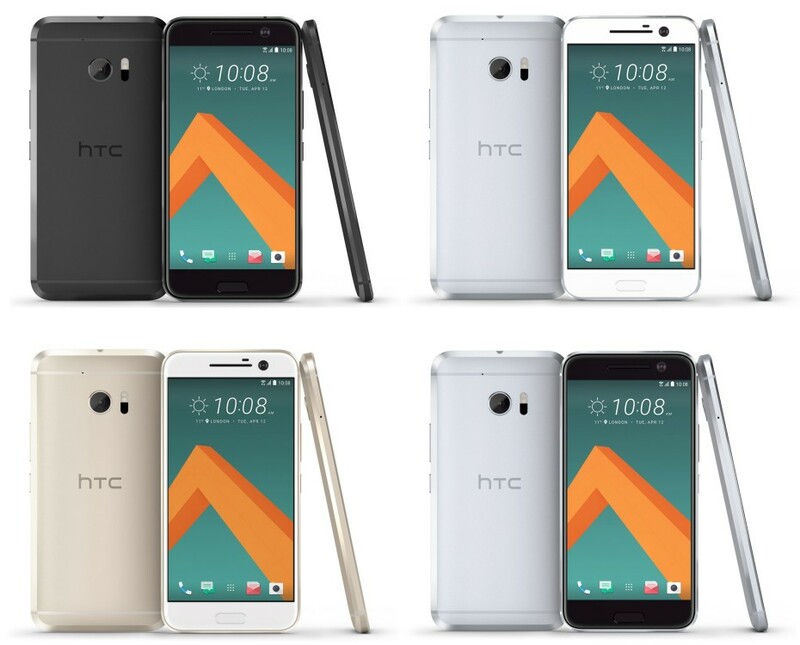 After a cavalcade of leaks and hearsay, HTC today announced its anticipated flagship smartphone for 2016, the HTC 10. Undoubtedly a device that will convey HTC's atonement for it's not-so-exciting previous flagships. So far, at least on paper, the HTC 10 looks like it might just deliver. So, what does the HTC 10 bring to the table? First of all, we have a rather major name change: it's called the HTC 10, unlike HTC's former flagships, which boasted the "One" lineup designation, followed by "M". While it might be a bit confusing for HTC die-hards, we welcome the change. It's also a rather good marketing move on HTC's end. Moving on to the design, it seems the rumor mill was spot-on correct. We have a front glass panel that gently slopes and unites with the full-metal body, which comes with an appealing chamfered rear frame. Reportedly, the build of the phone is quite sturdy: HTC allegedly claims that the phone has been subjected to some pretty extensive durability and temperature tests. Now, it seems that the signature Boomsound speakers are going nowhere. We have two speakers on board, with a woofer at the bottom that is responsible for low frequencies, and a tweeter at the top that conveys the rest of the audio spectrum. That's not all, though! Audiophiles, gather around: looks like the HTC 10 arrives with an improved headphone amp, capable of delivering twice the output of a conventional amp, as well as upscale 16-bit audio to 24-bit. Digital to analogue conversion is also a go. The fingerprint reader embedded in the physical home button à la Samsung is reportedly capable of unlocking the phone in 0.2 s after a successful fingerprint has been input. HTC claims the scanner is an adaptive one, meaning that it will get faster the more you use it. The 3,000mAh battery at the back seemingly arrives with fast-charging - HTC 10 users will be able to get roughly 50% of battery juice after a 30-minute charge session. No surprises here - the HTC 10 is powered by Qualcomm's finest chip at the moment, the Snapdragon 820. We have known this for a while, as even Qualcomm recently bragged that HTC has embraced the top-end silicon. The 64-bit quad-core chipset is ticking at 2.2GHz developed in collaboration with Samsung and relies on a 14nm manufacturing process. The Qualcomm Snapdragon 820 is already performing pretty great in devices like the Galaxy S7 and LG G5, and according to some hearsay, the HTC 10 might be surpassing these two. We can't wait to put it to the test. What is surprising is that only the good ol' US of A will be getting the Snapdragon 820 chipset. Other regions will have to be content with a lower-end Qualcomm chipset. Memory-wise, we have the ample amount of 4GB of RAM aboard, which is already a standard for the high-end Android crop. In terms of available storage, the 10 arrives in two flavors - 32GB in the version and 64GB in the top-end one. That's more than welcome, though we are a bit saddened by the lack of a 128GB model. Worry not, there's also a microSD card slot on board, which is compatible with all microSD cards up to 2TB in size. Sorry, owners of 3TB microSD cards! Camera: third time's a charm? And now, the camera. This has been the most often-criticized component in HTC's flagships for the past two years, but it looks like the third time might be a charm. If the unofficial information we got hold of is correct, HTC put a 12MP second-gen UltraPixel sensor at the back of the 10. It comes with a rather large f/1.8 aperture and 1.55um pixels, which hints are potentially strong low-light game. There's optical image stabilization, a laser autofocus, and a slew of intriguing camera features. The most interesting among these is Pro mode, which will most likely end up being manual camera controls; additionally, there seems to be hyperlapse, 4K video recording, Auto HDR, 12X slow-mo video capture (whatever that means), and Zoe Capture, which is similar to Apple's Live Photos and Samsung's Motion Photo though predates both. RAW photo capture has also made the cut. Up front, there seems to be a 5MP wide-angle selfie camera with 1.34um pixels, large f/1.8 aperture, and optical image stabilization. Nifty! The HTC 10 arrives with HTC Sense 8 UI, which is based on Android 6.0 Marshmallow. Now, what is exciting here is that HTC has decided to ditch some of its own apps and wholeheartedly embrace Google's alternatives, thus eliminating the clutter. This means you won't get two calendar apps, three messaging apps, or a couple of galleries. That's commendable! The new user interface arrives with a rather interesting feature on board - just as we reported a few days ago, Sense UI sports Freestyle layouts, which enables users to customize their home screens to great extents. For example, users are not confined to the usual app grid - apps, widgets, and stickers can be freely moved around and customized. What's more, apps can be opened by tapping on stickers, allowing HTC 10 owners to clean up the clutter and create unique home screen setups. It seems that HTC 10 will cost $699 at launch and be available on Verizon, Sprint, and T-Mobile. 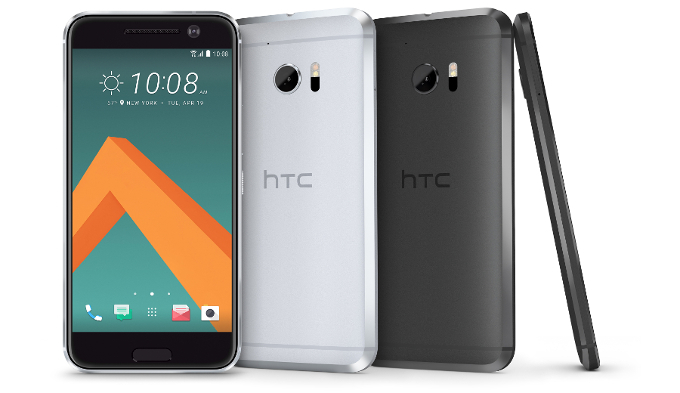 An unlocked variant available in Glacier Silver and Carbon Gray will be up for grabs from HTC's official website. Pre-orders are starting today, April 12, with units shipping in early May.